With 2019 World Cup slated to take place from May end, IPL 2019, India's rather the world's biggest league, is all set to be preponed as a rule as per BCCI states that the Indian team cannot take part in any event before or after the 15 days of IPL. Besides, it is also the reason why India will start their 2019 World Cup campaign on 5th June 2019 (after 15 days of the completion of IPL 2019) against South Africa. Having said all of that, the committee administrating IPL has finalized 15th November 2018 as the penultimate date for the retention and release/trade of players. Sportskeeda also learns that while trading a particular player the particular franchise may have to release a player or two to offset the deal. For example, recently, MI bought Quinton de Kock (bought for INR 2.8 Crore by RCB in 2018) from RCB while releasing their two players - Mustafizur Rahman (bought for INR 2.2 Crore by MI in 2018) and Akila Dananjaya (bought for INR 50 Lakh by MI in 2018). Hence, after having been through all the technicalities of the trade let us look at five players that Rajasthan Royals (RR) should eye ahead of the 15th November deadline. RR has had a pretty decent IPL 2018 under the tutelage of Ajinkya Rahane who captained RR in IPL 2018 after the exclusion of Steve Smith. RR finished fourth in the points table after losing to KKR in the Eliminator. Jason Roy, England's hard-hitting opener, has been one of the best openers in the current scheme of limited overs cricket, especially the 20-over cricket. With an ability to slog the white cherry out of the ground, Roy has been a prospective option for many T20 franchises across the globe. In Jason Roy, RR could find an attacking opening batsman who could do wonders with Jos Buttler as his partner. For a good part of the tournament, RR rotated D'Arcy Short, Rahul Tripathi, and Ajinkya Rahane in the opening department. However, after abysmal performances from the other openers, Buttler was promoted to open, and we all know the result. Thus, with RR already fixed with an opener in the name of Buttler, Roy seems to be an upright choice. Besides, it will also allow Rahane to bat in the middle-order alongside Steve Smith. 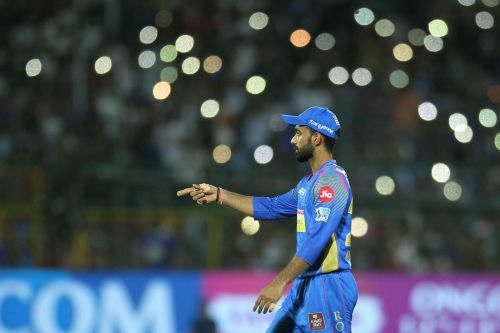 Nonetheless, with cricket being all about finding the right combination, RR might as well want to rotate between Roy and Rahane in the top order to make the batting go deep. All in all, Roy could turn out to be a decent addition for RR in the IPL 2019. 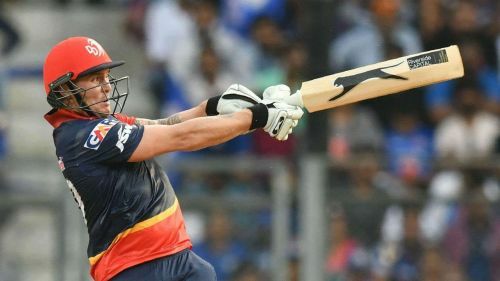 Jason Roy, while playing for DD in IPL 2018, scored 120 runs at an average of 30.00 and a respectable strike-rate of 127.65.